FSL Tonight 2014 Preview: Who’s gonna win it all? 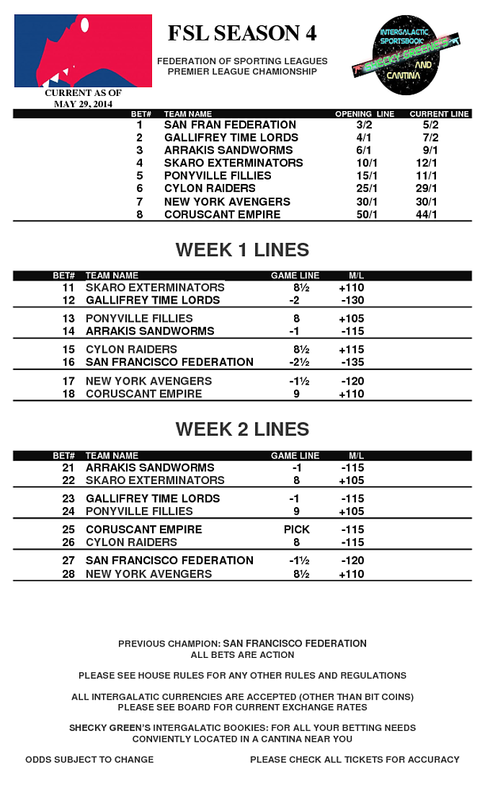 Meet the three new teams, Skaro, Cylon, and Ponyville, and get our experts best guess on whether San Francisco will repeat, or we get a new champion. It’s the 2014 FSL season preview people! Shecky just dropped off updated lines with Mitzula who sent ’em over to FSL Tonight HQ. These are different from the ones we got last week.